Style Homez classic printed chair bean bag with denim contrasts is the most comfortable place to sit anywhere. It is filled with the softest Beans available to makes it steady and comfortable at the same time. This bean bag crafted with a cotton canvas and denim material which gives you a luxurious feel. Moreover, an abstract print and multipurpose pocket look more convenient. Dimension - 76 X 91 X 91 cms. 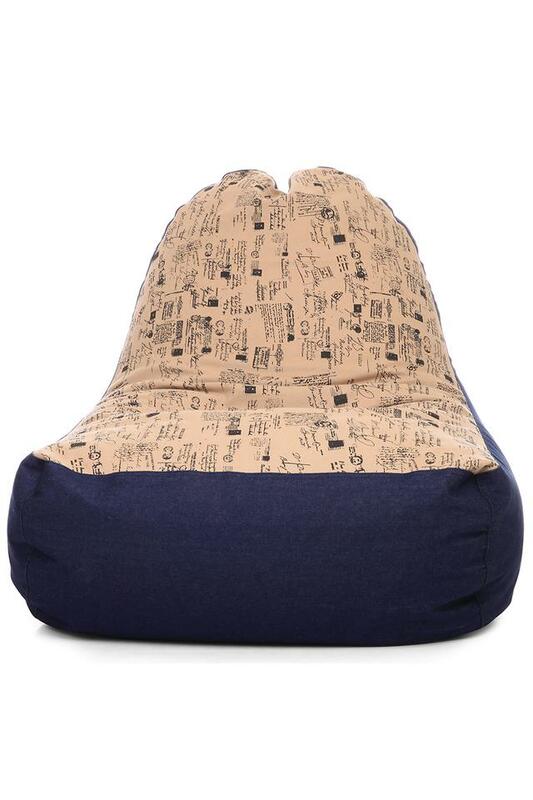 Bring home this trendy chair bean bag with fillers to upgrade the look of your living room.